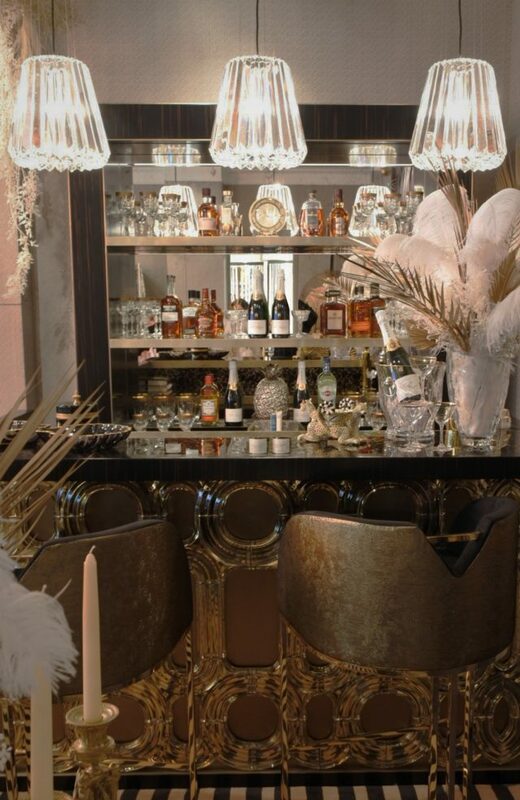 LANSERRING have been collaborating with Katharine Pooley to produce a handcrafted drinks display cabinet and bar. Located in the Turnell & Gigon Showroom in Design Centre, Chelsea Harbour, the pop-up launched Sunday 10th March as part of London Design Week. Katharine drew inspiration from the clean lines and timeless elegance of the Art Deco period, in particular focusing on F. Scott Fitzgerald’s iconic novel ‘The Great Gatsby’. We chose to work with sustainable ebonised timber for the frame of the unit, with a hand polished lacquered finish on the exterior and a satin matt finish on the interior. 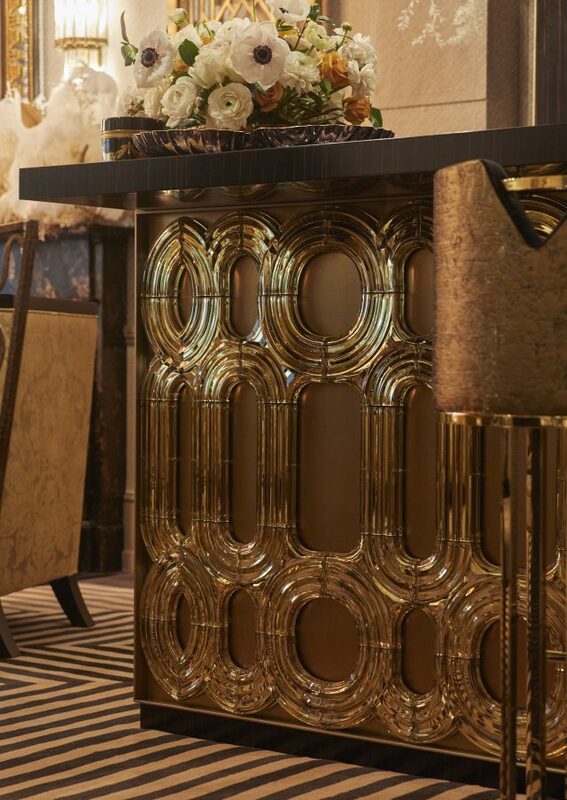 We sourced an antique silver mirror for the piece, which is surrounded by a trim of lightly patinated brass with a matte finish, adding further texture. 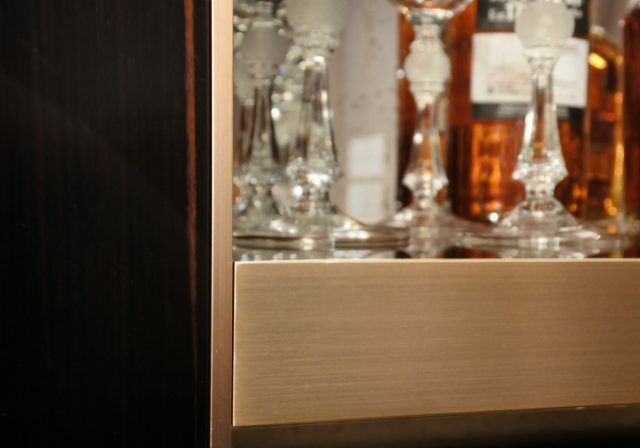 The hinges we worked with were European cabinet hinges in an Onyx finish.